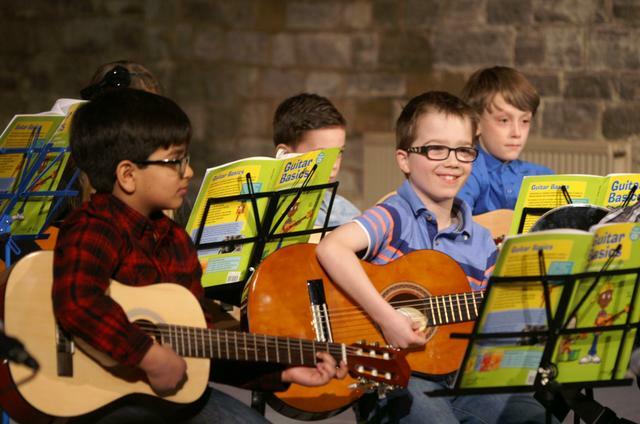 Through this process they learn to read music notation, compose, perform and evaluate music. 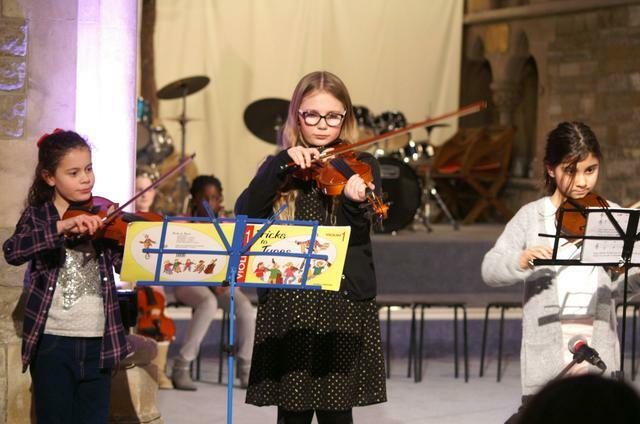 On November 5th, over 250 students from Bournemouth and Poole travelled to London to perform the Massed ensemble centre-piece at the Music for Youth Proms, joining 300+ students from the Isle of Wight and Southampton Music Hubs and members of the Bournemouth Symphony Orchestra. 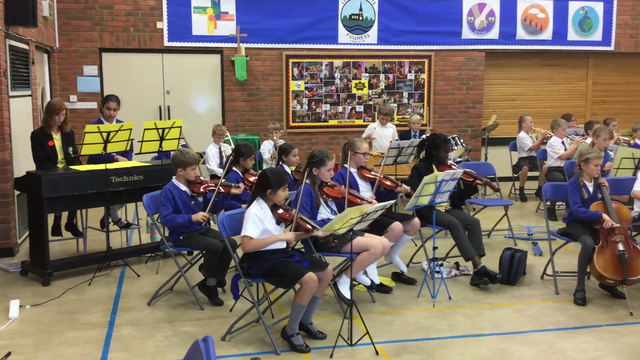 Thank you to Soundstorm and Hands On Media for producing this great film featuring our pupils. 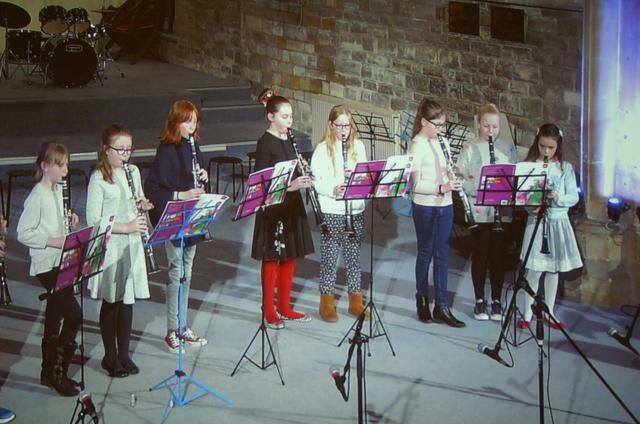 For children who want to develop their muscial talents even further we offer peripatetic music lessons in a range of instruments including woodwind, string, percussion and brass. 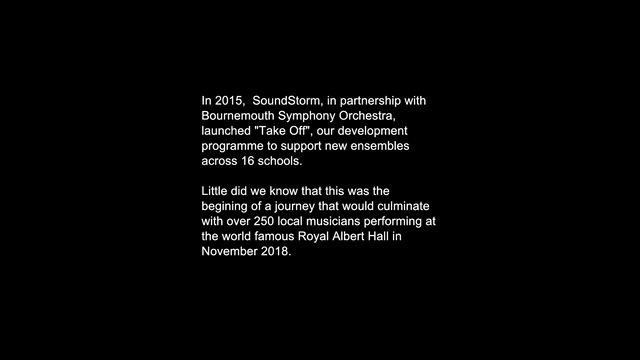 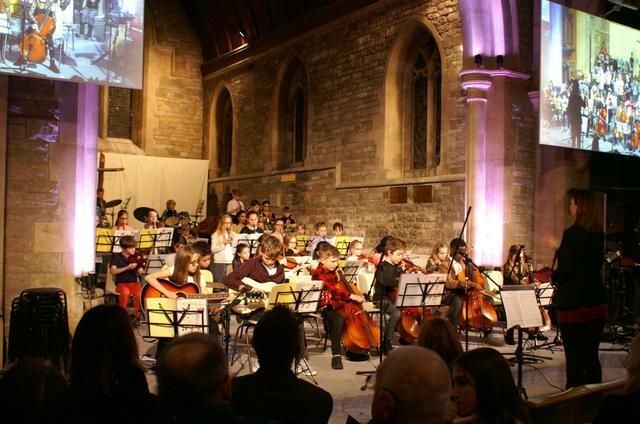 Our fifty strong orchestra is supported by Soundstorm and the Bournemouth Symphony Orchestra. 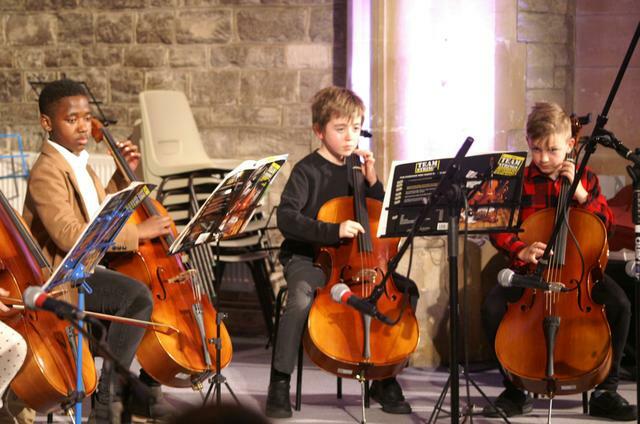 This has opened doors to some fantastic opportunities including taking part in performances at the Lighthouse and the Royal Albert Hall. 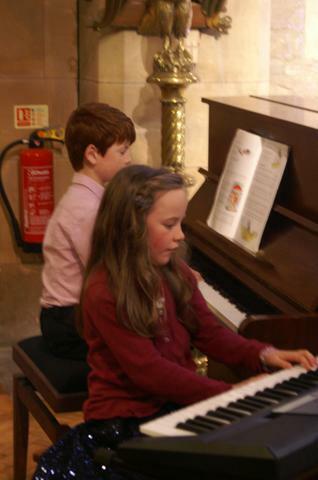 Singing is also a big part of our school life with regular singing in assemblies, music lessons and our two choirs. 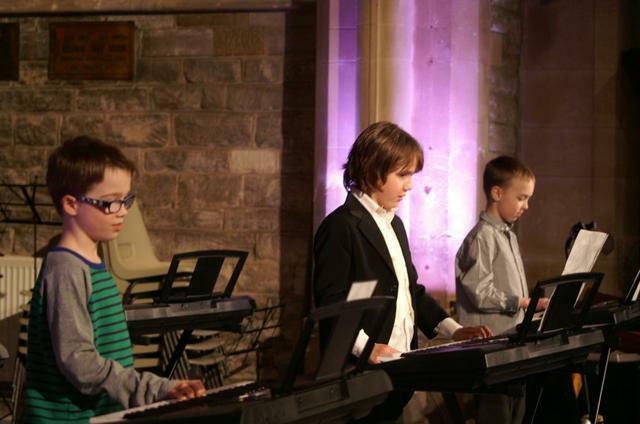 Our Worship Band for pupils in Years 5 & 6 has a mixture of vocals and instruments including keyboards, guitars, bass and drums . 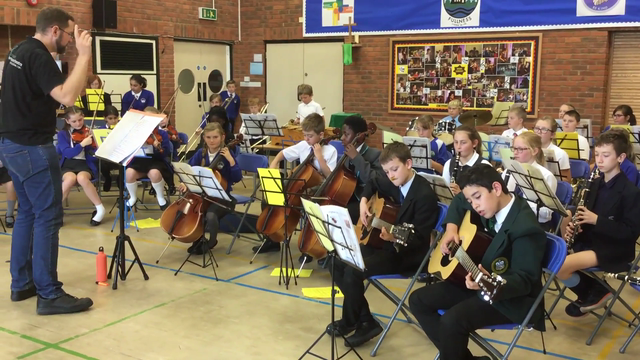 For more information about our extra-curricular music programme please see our "School Community" tab (above). 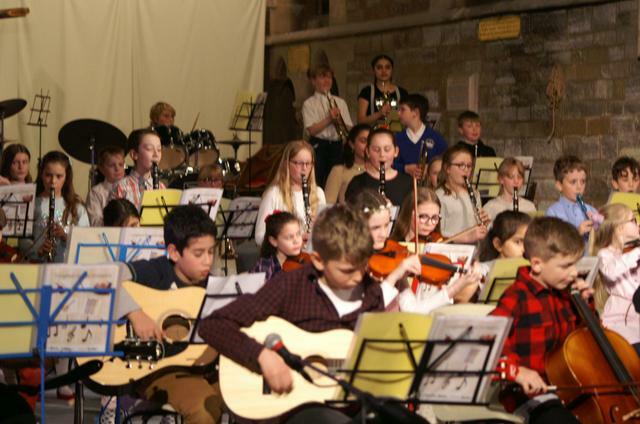 There are regular opportunities for our pupils to perform including school services, assemblies, concerts and music festivals.